Money Habitudes: How To Be Rich in Life & Love is a financial curriculum about money and relationships. It introduces teens to the human side of money – the subconscious factors that dictate how people actually relate to money, regardless of financial skills or economic status. An important precursor to financial literacy courses, the material helps teens identify their personal financial patterns, how these affect their goals and relationships, and ways to use this knowledge to be more successful. 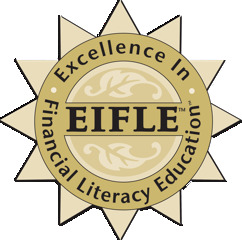 The personal finance curriculum won a 2012 Excellence in Financial Literacy Education Award from the Institute for Financial Literacy. In the introductory lessons, teens explore the many roles that money plays in their lives. Group activities highlight why understanding money, both technically and emotionally, is so essential. A key focus of the program is on understanding the widely differing ways in which people behave around money. Teens examine the powerful symbolism of money – as a sign of power, status, love, security, independence, spontaneity, loyalty and more. Guided discussions also reveal how different behaviors reflect the influence of family, media, culture, and life events. Using the award-winning Money Habitudes™ card game, teens discover their individual financial style, along with its advantages and challenges. This non-judgmental approach helps them manage their financial concerns in productive ways. Finally, teens learn to use the SMART model for building success in setting and attaining personal goals. Written by By Jessica Pool, M.S. with Syble Solomon, M.Ed. This curriculum and its materials are the result of a partnership with the well respected Dibble Institute. Founded in 1996, the non-profit has developed more than a dozen curricula and other programs addressing teen relationship skills and its programs have reached over 100,000 students in all 50 states. They are used at public and private schools, after-school programs, community youth programs, youth agencies, health clinics, juvenile justice locations, and more. In addition, Dibble has consulted with The Brookings Institute, RAND, The Urban Institute, The Institute for American Values, and The National Healthy Marriage Resource Center. Its funding partners include: National Campaign to Prevent Teen and Unplanned Pregnancy, US Department of Health and Human Services, YouthBuild, Anne E. Casey Foundation, Coalition for Marriage, Couples, and Family Education, ChildBuilders, Public Strategies and the Departments of Education in Ohio, Indiana, North Carolina, Washington, Virginia, and Texas. Dibble’s programs have been evaluated in numerous research studies and professional journals and won a five-year, $2.5 million demonstration grant from The Department of Health and Human Services. It’s the recipient of the 21st Century “Champion Award” from AAFCS (American Association of Family & Consumer Sciences), an “Impact Award” from Smart Marriages and the “Distinguished Achievement Award” from the American Association of Educational Publishers.